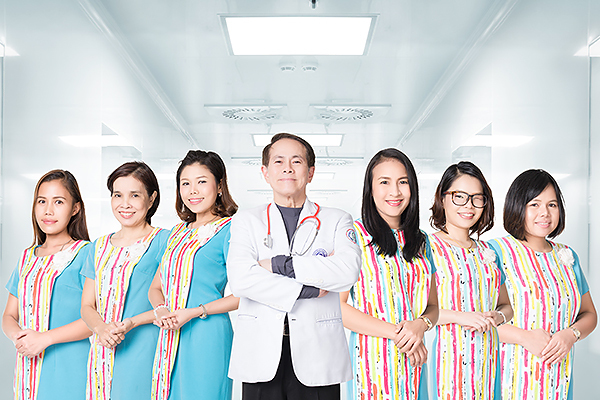 All surgical procedures are done in a first rate private hospital (Bangkok Plastic Surgery 422-426/1 Indramara Soi 20 Suthisarn road ,Dindaeng district, Bangkok) under the Standard Public health Certified Clinic located in the heart of downtown Bangkok. Interpreters for our English, Japanese and Chinese speaking patients are available for free consultations. Prices indicated for all procedures include all SURGICAL expenses such as room, medications, and meals, and for those that are traveling alone, a 24 hour in room attendant. After your stay in the Bangkok Plastic Surgery, transportation to and from the post-surgical clinic for daily exams will be provided. This is included. There are no extra charges. All e-mail inquiries will be answered within 48 hours. Mobile phone contact is available 24 hours a day. Your consideration to keep in mind the time changes around the world is greatly appreciated.